Oslo, Norway ‘ January 31, 2012 ‘ QuestBack, a global leader in enterprise feedback management (EFM), customer experience management and social CRM solutions, today announced the opening of its North American headquarters. QuestBack is Europe’s foremost supplier of feedback management solutions and is recognized by Forrester as a leader among market-insights-focused EFM vendors. As part of the company’s North American expansion strategy, the Bridgeport, Connecticut office will be the foundation for rapid growth across the region and help support the company’s more than 5,000 international customers. With more than 16 years of global management expertise in the market research industry, Suresh Subbiah, president of North American operations, is driving QuestBack’s market penetration in the region. As part of the expansion, Suresh plans to double QuestBack’s North American revenues in the next year. To help support this growth, the company is focused on building out its sales and marketing talent in the U.S. with experienced market research veterans. Recent hires include Jill Ransome as the head of U.S. Marketing and Todd F. White, Eric Bell and Gigi Hayden have joined QuestBack as directors of Insight Solutions. Founded in 2000, QuestBack quickly established itself as one of the leading global EFM providers. To help clients improve business insight through social media channels, the company recently acquired social CRM provider Globalpark and launched QuestBack Social Connect. Additionally, QuestBack’s web-based services for relationship development helps companies to improve their performance, enhance satisfaction amongst employees and customers, as well as heighten market expertise. QuestBack is opening its official North American headquarters at 1000 Lafayette Blvd. in Bridgeport, CT. For more information please visit: http://www.questback.net/. QuestBack Group is Europe’s leading Enterprise Feedback Management and one of the world’s Top 5 vendors. QuestBack provides online survey solutions, panel solutions and social CRM solutions – web-based services for relationship development through the collection, analysis, and follow-up of business critical information. QuestBack’s clients achieve better financial performance through increasing the satisfaction and loyalty among their customers and employees. QuestBack was founded in 2000 and has achieved double-digit growth ever since. The Company is headquartered in Oslo, Norway with subsidiaries in seven countries and offices in a total of 17 countries, and serves over 5,000 customers across all sectors and industries, including Volvo, Ernst & Young, Coca-Cola, Microsoft and Bosch. It’s time for brand marketers to stand out. 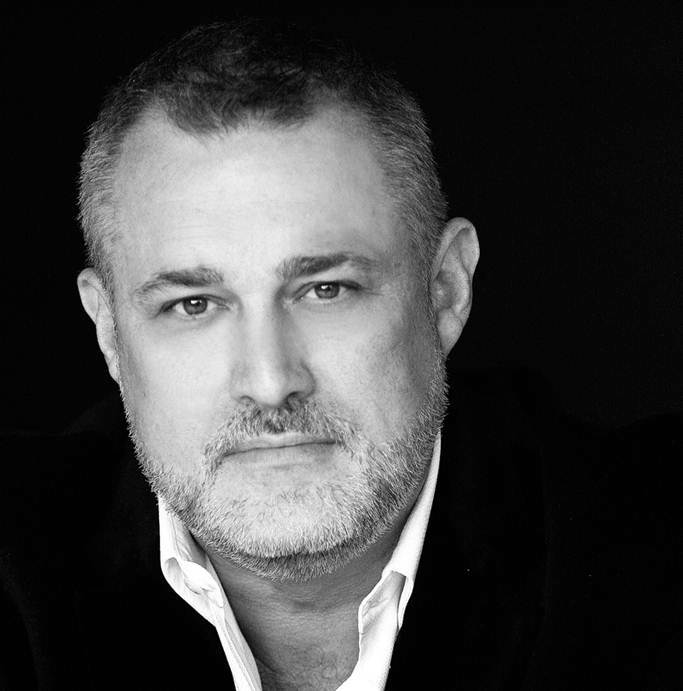 Former Fortune 100 C-Level Executive, bestselling author and marketing expert, Jeffrey Hayzlett will be hosting a discussion on how to run the gauntlet in the ever-changing business landscape, and sharing with marketers some advice to make it through alive. Mobile marketing strategies need to be built into your marketing plans for 2012 and beyond. Your mobile strategy does not need to be a huge technological investment… Marketers adapted QR codes to campaigns to engage their audience, and we’re now seeing an evolution in 2D mobile barcodes to increase the engagement level. It’ time to lead, drive change, and grow profits in your organization. Plus, see Jeffrey live and in-person at The Mobile Marketing Conference, where he will be presenting more on Building Brands in the Mobile Medium. About The Mobile Marketing Conference: The Mobile Marketing Conference will unite today’s pioneering marketers on a quest to uncover the value of the mobile medium as an “always on” channel to engage consumers and convert mobile interactions to transactions. Featuring a robust agenda of real-world case studies shared by clients themselves, this program is co-created by practitioners, mobile experts and visionaries to be truly reflective of the industry’s immediate learning goals. Download the brochure for more information. Register with code TMMC12DIGITAL to save 15%. As we move into 2012 and start looking forward to the next Total Customer Experience Leaders (TCEL) Summit, we’d like to occasionally share with you some of our favorite resources from around the web on customer experience, customer experience design, and customer-centricity. Forrester reported that Chief Customer Office roles continue to grow and found that these executives “tend to be senior leaders hired internally and are as likely to come from the operations side of the company as from marketing.” It’s hardly surprising that this trend continues as “CMOs’ No. 1 goal is to increase loyalty among existing customers,” according to this piece in Ad Age. In the world of Customer Experience Management, this sponsored post on CMSWire discussed the ways that loyalty can be driven by a consistent experience across channels. Your brand should be as consistently represented by the smell of the store as by the website. What were your favorite customer experience links this week? What resources do you turn to? Going forward in 2012 we’d like to provide you with some occasional round-ups of some of our favorite finds from around the internet. This week was a big one for mobile. Here on the blog, Mobile Marketing conference chair Jeffrey Hayzlett gave a brief intro to the conference and we talked about mobile ROI. Elsewhere, Marketing Profs talked about Mobile and Tablet trends for 2012. Some of these trends included: The appearance of online storefronts on tablets and integration of social search and new social networks. Head over to Marketing Profs for the full list. In the social media world, many brands started unveiling their plans for the upcoming Super Bowl. Huffington Post had a good post about the Super Bowl Social Media Command Center. Last year’s Super Bowl provoked 25% more tweets published around the globe than usual in six-hour period around the event and as we move further and further into a “two screen” world, that number is sure to grow. 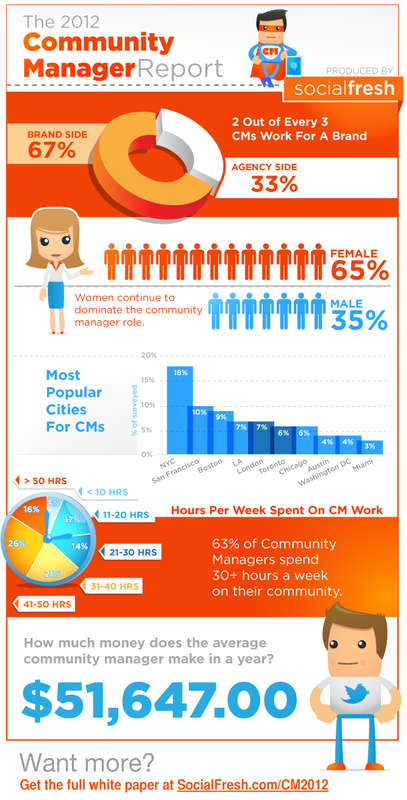 Of course this week also marked the 3rd annual Community Manager Appreciation day. Mashable compiled some essential resources for the occasion here. How did you celebrate? Like these updates? You can also follow us on Twitter or on Facebook for conference updates and industry insider news all week long. Looking for Successful Mobile ROI? As the world of Mobile Marketing develops, marketers are of course wondering what the ROI will be of this new medium. Back in August, a study spearheaded by The Relevancy Group noted that lack of ROI is ‘the biggest deterrent for marketers.’ 73 percent of marketers surveyed stated that improving ROI for mobile campaigns is a top priority. A first step in any marketing ROI equation is deciding what your goals are for your mobile marketing strategy. Is your primary goal to drive consumers to a physical store? Or actually make a purchase on their phone? Or is it something more nebulous like engagement with the brand? Whatever your goal may be, find a way to track success, be it tracking QR code site visits or something so simple as offering a coupon code to mobile users who visit the store in person. Sheth is no stranger to Mobile, check out this video below where he explores some of the features of the Gap mobile website. Gap Inc has also explored mobile apps such as Shopkick and Instagram. Check out the ways they’ve integrated with these apps and others in their Social Shopping web series. Plus, join us in Miami this March to hear more on ROI from Nick Sheth. As a readers of our blog, we’d like to offer you an exclusive 15% discount. Register with code TMMC12DIGITAL here. P.S. Join our social media community! Our new LinkedIn Group is a place to share expertise and brilliant ideas on anything mobile marketing and you can also follow us on Twitter at https://twitter.com/TheMMConference or on Facebook: http://on.fb.me/uFo6zi for conference updates and industry insider news. Due to the high volume of submissions, we suggest you submit your proposal early and no later than Friday, January 27, 2012 to Stacy Levyn, Conference Producer at slevyn@iirusa.com or 646.895.7335. Total Customer Experience Leaders is an event that showcases trends, insights and best practices for measuring, aligning and communicating your customer experience strategy to ensure business relevance. Plus! Idea gathering forums following each session topic. Speakers receive FREE admission to the conference as well as any pre-conference activity such as workshops or symposium. If you are interested in sponsorship or exhibit opportunities please contact Jon Saxe, Business Development Manager at jsaxe@iirusa.com or 646.895.7467. Interested in Becoming a Media Partner or Featured Event Blogger? Contact Kacey Anderson, Marketing Manager, at kanderson@iirusa.com. ‘ Short bio Due to the high volume of responses, we are unable to respond to each submission. All those selected to participate as speakers will be notified shortly after the deadline. Thank you for your interest in the Total Customer Experience Leaders conference. We look forward to receiving your proposal! driving innovation in your organization. and thrive in this rapidly changing world of insights. and the complete Market Research Technology Event program. email Jennifer Pereira at jpereira@iirusa.com or visit the webpage here. Yesterday marked the third occurrence of “Community Manager Appreciation Day.” Started in 2010 by Jeremiah Owyang, the “holiday” may seem a bit self-congratulatory, but it’s certainly proof that the community manager role is here to stay. Check out this great infographic from Social Fresh for the current state of the profession. Social Fresh is also offering a white paper for download on the subject at that link. Where does the community manager role stand at your company currently? Is it an agency role or in-house? How do you see the position changing with time? Hope you had a happy #CMAD! Email kschram@iirusa.com by Friday, February 3, 2012. NOTE: Presenters are accepted on a rolling basis so early submissions are encouraged. The Market Research Event (www.themarketresearchevent.com) is all about the business value of market research. With more than 140 sessions and 175 speakers, it is by far the most comprehensive market research conference in the world. Multiple tracks and symposia allow participants to truly customize their experience based on their unique learning goals. TMRE is seeking client side executives to join the speaker faculty. Speakers can come from any department within the organization. Content must be original and not have already been presented at this or any other industry conference. Note: ONLY client-side submissions will be reviewed. If you are a market research firm, vendor, or consultant, please see below. In 2011, TMRE drew more than 1000 participants with more than 60% representing client side companies from all major industries including: CPG, Media & Entertainment, Finance & Insurance, Travel & Tourism, Durable Goods, Pharmaceutical & Healthcare, Retail, Energy & Utilities, Telecommunications, Technology, & Automotive and more. Attendees have backgrounds in market research, consumer insights, marketing, intelligence, brand insights, marketing analytics, R&D, product development, innovation, customer experience, strategic planning, shopper insights and advertising among other related areas. We are also happy to consider topics not listed here that you feel would add value and be appropriate for the audience. If your submission is selected, portions of your summary will be used to promote your participation. In an effort to ensure the utmost quality, all final presentations will be subject to review by our content review board prior to the event. This call is limited to client side presenters. If you are a vendor, consultant, solution provider, or technology provider and would like to speak at TMRE, please contact Jon Saxe at jsaxe@iirusa.com or 646-895-7467 or Sarene Yablonsky at syablonsky@iirusa.com or 646-895-7474. Join us this March and harness the power of mobile marketing at The Mobile Marketing Conference. Download the brochure for more details. As a readers of our blog, we’d like to offer you an exclusive 15% discount. Register with code TMMC12DIGITAL here. We hope to see you in Miami! P.S. Join our social media community! Our new LinkedIn Group: http://linkd.in/y01QZT is a place to share expertise and brilliant ideas on anything mobile marketing and you can also follow us on Twitter at https://twitter.com/TheMMConference or on Facebook: http://on.fb.me/uFo6zi for conference updates and industry insider news.